Depending on the style and colour of your wedding gown you may think that you don’t have any options to change the way it looks. While the dress won’t change you can add accessories, a different veil, use a jacket or bolero or change the way you have your hair. Wedding dresses come in many styles. Some have trains that can be worn for the ceremony and removed for the reception so you can walk around to enjoy your guests and dance without hesitation. You can also try the same basic style gown with a different neckline, sleeves, gown type, fabric or colour. Go online to a bridal website to see this in action. Many of them offer you a chance to design the perfect wedding dresses. If you have found one take a simple A-line dress and change the sleeves. You can design a dress that looks like a princess with long sleeves; however, the same dress with a cap sleeve is more carefree and suitable for a casual wedding venue. A t-shirt sleeve also works well for the beach wedding. Use an off the shoulder sleeve and you have a romantic bride for an evening wedding. As you can see there are many ways to make a single dress change the way it looks. Another way is to play with necklines and you will see the various looks they present. If your wedding is going to be at a cooler time of the year choose a jacket to accompany your gown. It can be a shrug with cap or long sleeves. The fabric that you use for the jacket can also make a difference. If you choose lace it can be very romantic and a satin shrug would be more traditional. Jersey is great for a casual bridal dress. 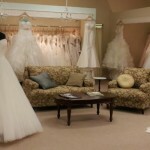 The venue you have picked out for your wedding can also help you make incredible changes to your gown. A springtime wedding may call for flowers in your hair instead of a veil; this would impact how your dress looks. A bride may have a bespoke item from her family that would be a beautiful addition. Think about a lovely brooch or necklace that has sentimental value. This makes an instant change to your beloved gown. While you may think that beautiful designer dresses are perfect the way they are, you may still want to have different looks throughout your wedding. A strapless dress takes on a whole new look when paired with a sassy lace shrug. How about adding a stole in faux fur for a winter wedding? 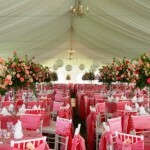 Add a touch of red or green with a sash and you are enchanting. There really are no limits when it comes to achieving the look that you want with your wedding dress. You can find some new young designers that offer contemporary styling with a hint of romance or sophistication. They have designed accessories to offer you more than one look with your ideal wedding gown.